Asbury Ale House is hosting itâ€™s annual â€œAll That Glittersâ€� New Yearâ€™s Eve event, and this is the one you wonâ€™t want to miss. Kick off the New Year the right way by heading to your favorite Ale House in South Jersey. Sponsored by Jameson and Deep Eddy Vodka, you can be certain that this will be a wild night to remember. The Gullace family is inviting you and all your friends the perfect NYE party that is sure to ring in the New Year smoothly. With â€œAll That Glittersâ€� comes amazing amenities throughout the night that will encompass what New Yearâ€™s Eve is truly about. Raise your complimentary champagne toast high at midnight. Reminisce about the year that is about to conclude and welcome in 2019 with hope and anticipation. The best days are yet to come. Start yours at Asbury Ale House this NYE with the best party crowd in New Jersey! This New Year's Eve is going to be an epic party here at the Festhalle! German New Year's Ball drop at 6 pm, clanging of the pots and pans, live music, fortune tellers and more! Patrons will have the selection to order Ã la carte or enjoy a $55 4-courses price fixed menu. Complimentary champagne toast to all. *Last seating 9:00 PM. Starting at 10:00 PM, Modine will transform into an awesome 80's Prom Party. The first 50 guests will receive a free boutonniere and corsage to accompany their best 80's attire. A Prom photobooth will be onsite to document the night forever and of course, a Prom King and Queen will be crowned. Live music by DJ Foggy Notion will keep the dance party going into 2019. Early seatings begin at 5:00pm, the price is $89 per person. Celebrate New Year's Eve Monday, December 31st at Convention Hall. 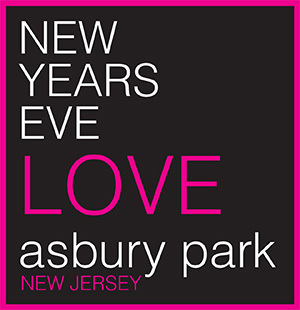 This year's theme is From Asbury with Love. Admission includes an open bar from 10 PM to 1:30 AM, hors d'oeuvres all evening, and a champagne toast. Guests are encouraged to dress to impress. Hosted by Frankie Perez with DJs Atom Worth and Mike Merrell who will be spinning all night long, making for what promises to be an unforgettable evening. (Please note open bar does not include shots will per house policy.) Doors open at 9:00 PM, and a cash bar is available from 9:00 PM to 10:00 PM. A Cosmic New Years Celebration! with the Cosmic Jerry Band! Three sets of Dead Family favorites. Bar specials all night long!